A workshop in your pocket: With its many different functions, the MultiTac Pro fully lives up to its name. It’s like having your tool cabinet with you. For example, it has a pliers, scissors and magnetic bit holder for 9 bits (supplied). And quality is not neglected. The blade is made of top-grade Swedish 12C27 Sandvik steel and like all the tools has a tough titanium gray coating. It can be opened with a dual-sided thumb stud or, if you’re wearing gloves, with milled recesses on both sides. 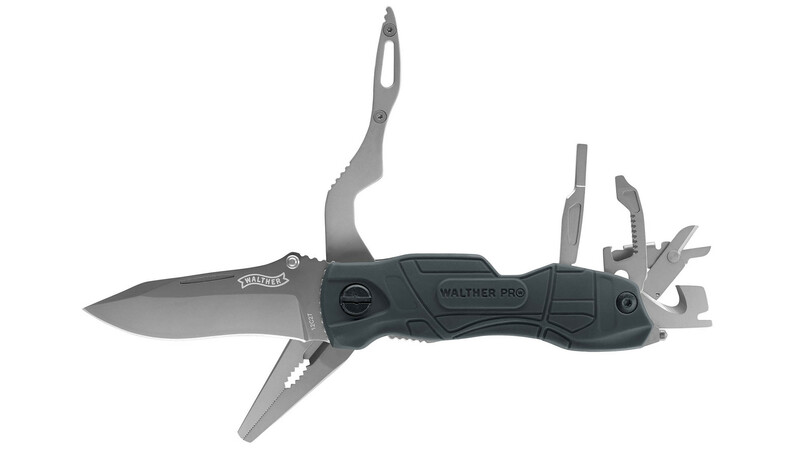 A liner lock holds the blade in place. With so many features, you could almost overlook the glass breaker at the rear of the handle. A nylon pouch is included. It can be worn vertically or horizontally and provides a safe place to put those bits. 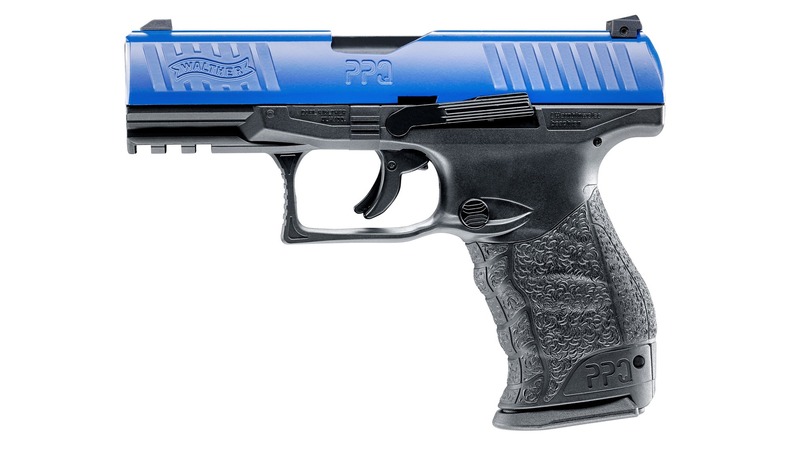 The internationally successful large-caliber Walther PPQ M2 has now come out in a .43-caliber training version. This CO2 pistol (here as LE version with a blue slide) provides realistic operation and loading – T4E is the Umarex abbreviation for “Training for Engagement”. The eight rounds in the magazine (optionally chalk, rubber or pepper) come out with an energy of 4 to 5 joules. The new OD40 is a long distance illuminator that projects a true collimated, focused beam of high definition light that has been created specifically for object and target identification. It creates a crisp, clean, clear, focused circle of light at long distances. 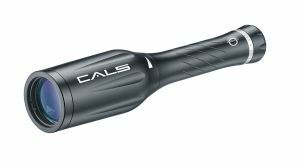 The adjustable beam gives the natural eyesight the ability to function at its best without adverse reaction to reflected light. Constructed of aircraft grade aluminum, the Optical Dynamics OD40 is shockproof and resistant to water and momentary submersion. It is compact, lightweight and easy to handle, weighs just 14 ounces with the two included CR123A batteries that provide constant operation up to 100 minutes. Its CREE LED delivers up to 720 Lumens. The flagship of the SDL series is a real powerhouse, with features that are useful to police as well as private citizens. It switches at the push of a button from 750 to 75 lumens and back. 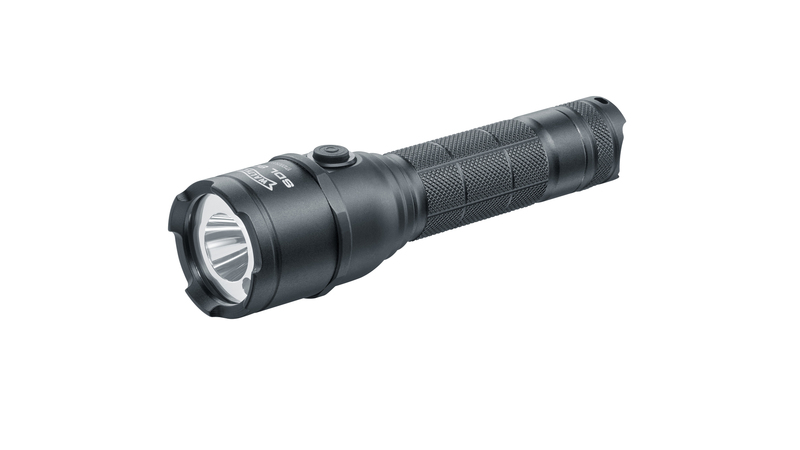 The Tactical Defense Strobe and UV LED (365 nm wavelength) are always ready at hand. The Umarex Group is the world’s leading seller of replica guns for purchase over the counter and Europe’s largest importer of airguns and airsoft guns. In addition its product line includes recreational and sporting guns, defense weapons and steel goods. Umarex currently holds licenses from Beretta, Browning, Colt, GLOCK, Hämmerli, Heckler & Koch, IWI, Oberland Arms, Ruger, Smith & Wesson and Carl Walther. The Group also includes the Carl Walther company, founded in 1886, which is renowned for its large-caliber police pistols and high-quality sporting arms for competitions. The retail chain PW STORE, with some 30 outlets, sells over-the-counter guns, outdoor clothing and self-defense products on behalf of Umarex. Established in 1972 and still managed by the owners, the mid-size Umarex Group has its headquarters in Arnsberg, Germany. It also has two branches in the USA, one in Austria and an extensive global network of authorized distributors.